Design it. Build it. Dig it. This international competition challenges university level students to build a robot capable of tackling the harsh martian environment. The goal is to excavate a martian regolith simulant called Black Point 1 (BP-1), and deliver it to a collection bin opposite the mining area in an enclosed field. This task is more difficult than that, however. BP-1 is extremely silty and easy to sink into, and combined with boulders and craters scattered along the field, it's easy to get stuck and end the mission early. 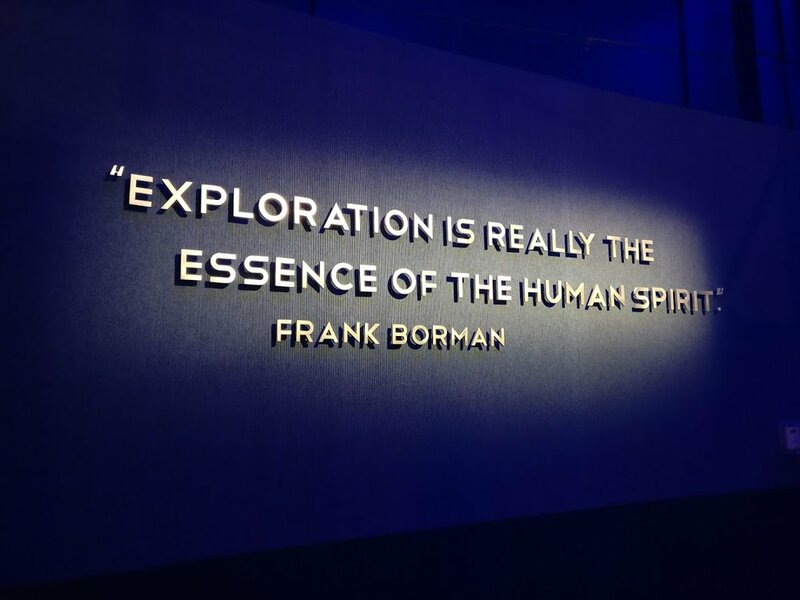 Robots also need to be energy, data transmission, and weight efficient to avoid point penalties, and can make up for losses by collecting icy regolith (gravel) buried deep beneath the BP-1, having a dust tolerant design, and completing the 10 minute run autonomously. 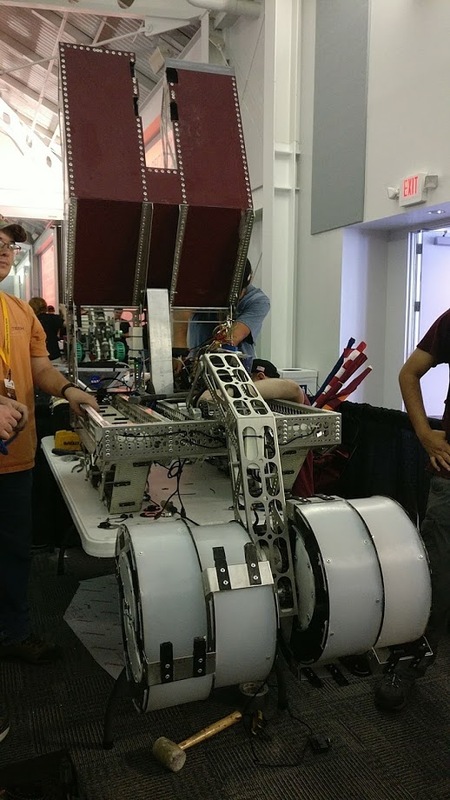 Outside of the robot construction, teams must also submit a technical paper detailing the functionality and construction of their robot. 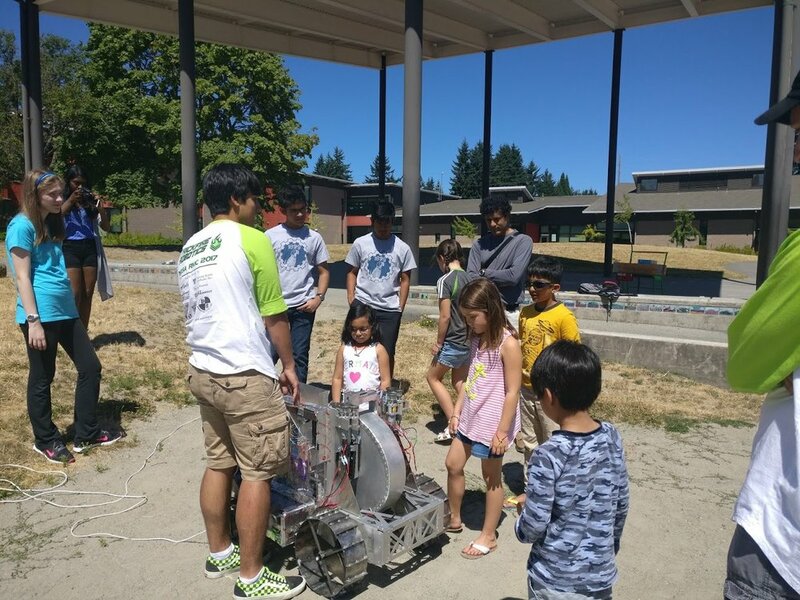 Teams also actively engage with their community through STEM focused events, with a goal to give back as much as possible, and inspire the next generation of engineers, scientists, physicists, and mathematicians. 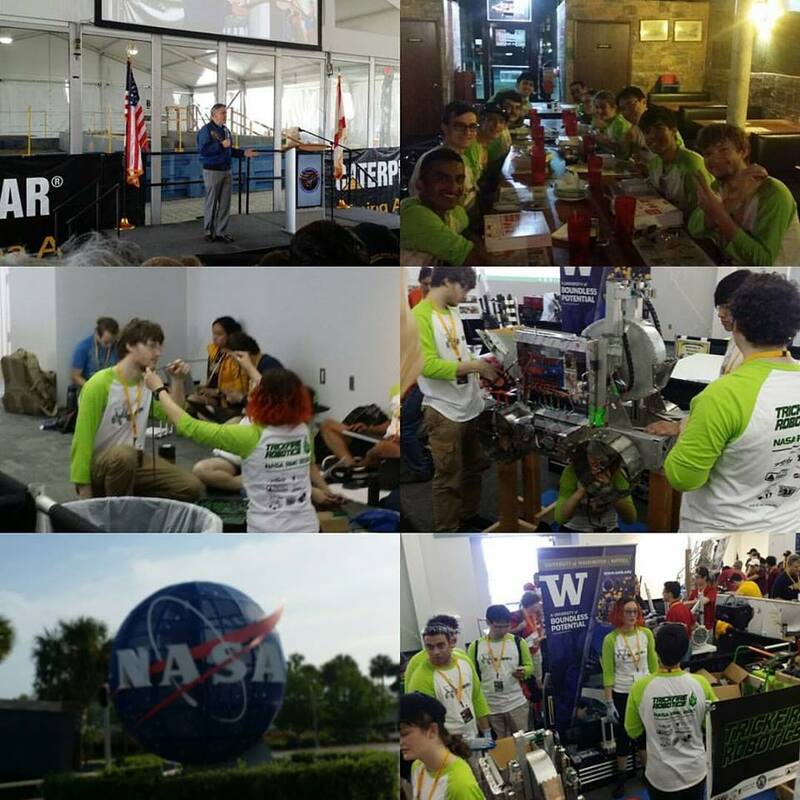 This all culminates in a week-long competition at the Kennedy Space Center in Cape Canaveral, Florida, with teams participating from all around the world. 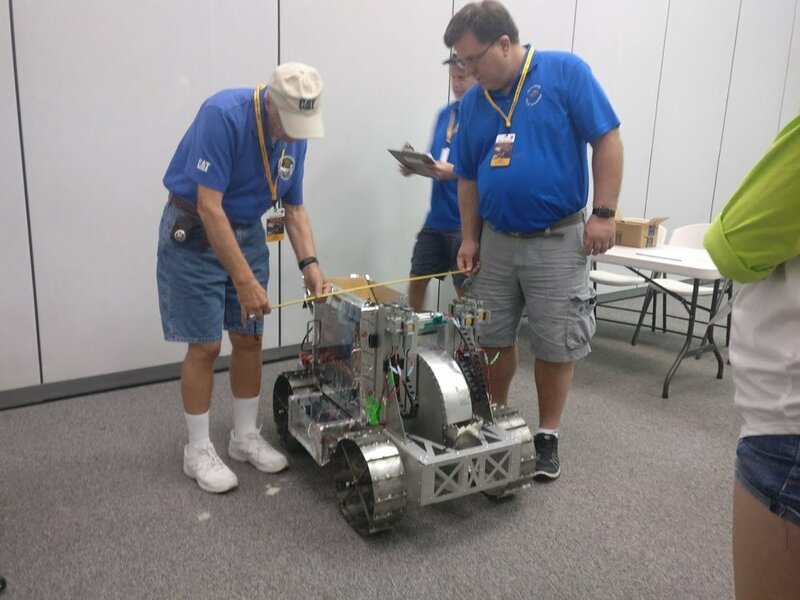 Here, robots face the simulated competition arena, some touching regolith for the first time, and teams give detailed presentations on their robot, and the results of their outreach efforts and marketing campaign to a panel NASA engineers. I was the electrical subteam lead - which basically means I helped with wiring the robot, designing the hierarchy/ organization of the electronics, defining power management, and doing a ton of soldering. Warning: The following chronological documentation may not be thorough because I averaged 2 - 3 hours of sleep per night during competition week (whilst trying to balance my course load) and I'm writing this up several months later. 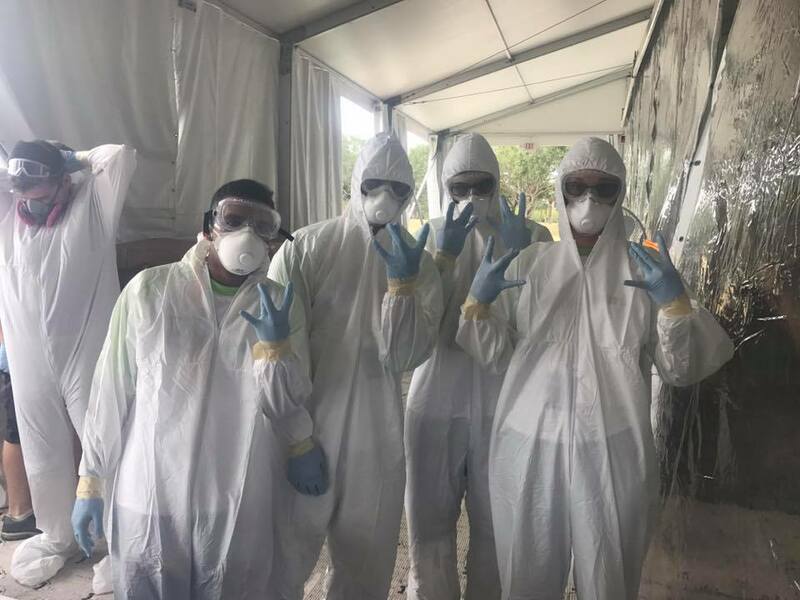 The flight left Sea-Tac airport at 9:25PM on May 21, 2017, and arrived at Orlando airport at 6:00AM on the following day (Monday). I maybe slept an hour effectively on that five and a half hour flight. Immediately after landing, I completed the Pre-Tutorial Quiz and the Post-Lab (or Pre-Lab, one of them) for my physics class. One thing I know for sure is that when I got there I ate three full breakfasts. Riding the airport shuttle to SeaTac after carpooling with Adam Krpan. 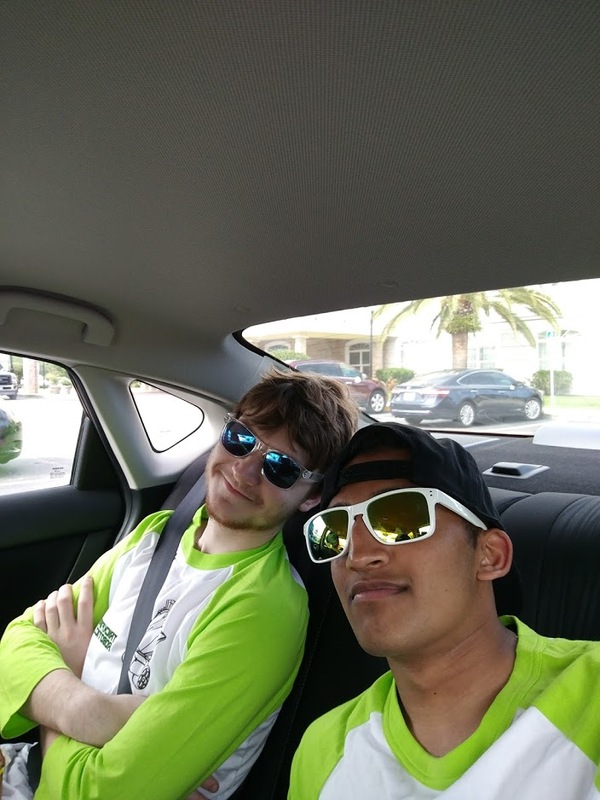 We arrived at the hotel, met with the members who transported the robot in their van (Fed, Brian, Allison, and Fed's Dad, Rus), ate some breakfast, and quickly left to the Kennedy Space Center Visitor Complex. We loaded-in, set up our pit, and passed communications inspection. Also we toured around for a bit and got a good glimpse of the complex. "Day one of the NASA RMC, full of sunshine, rockets and our mining robot Daybreak!" "Day 1 comes to an end! 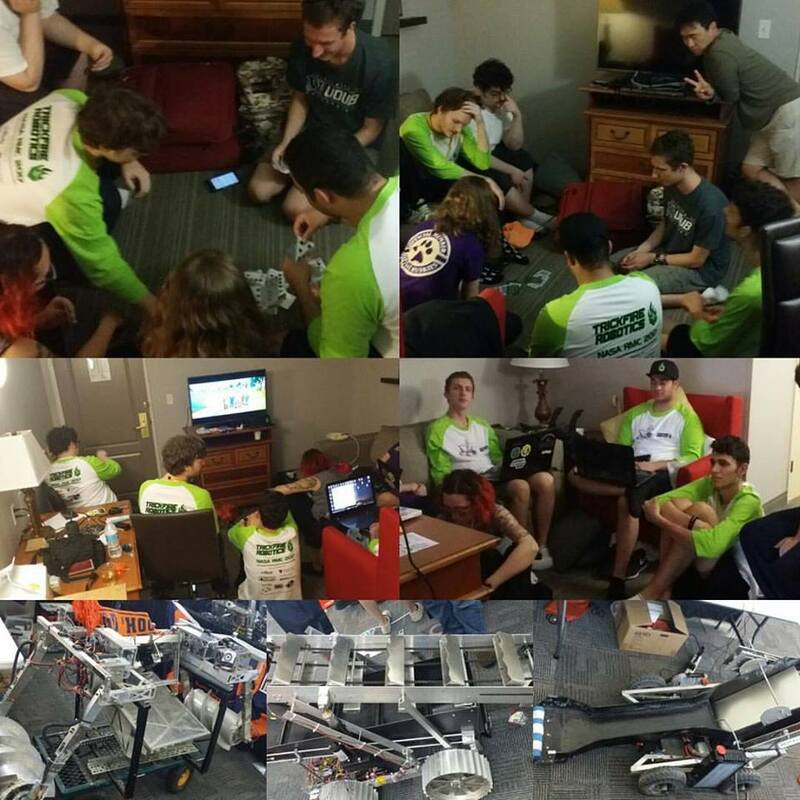 We're having a blast, and are ready to begin our practice matches tomorrow"
We passed mechanical inspection, did a practice round, and attended opening ceremonies. I don't recall fully, but we were making small fixes to our robot here and there (soldering new wires for better routing, tightening certain components so the drive belt fits better, etc...) I believe this is the same day I got the email from the CSE department about my CSE 143 TA application (in the evening), which had moved onto the next stage - making a video. I had to figure out how to manage my time over the next few days, because sleep was already averaging 4 hours a day and I had plenty of work to do. 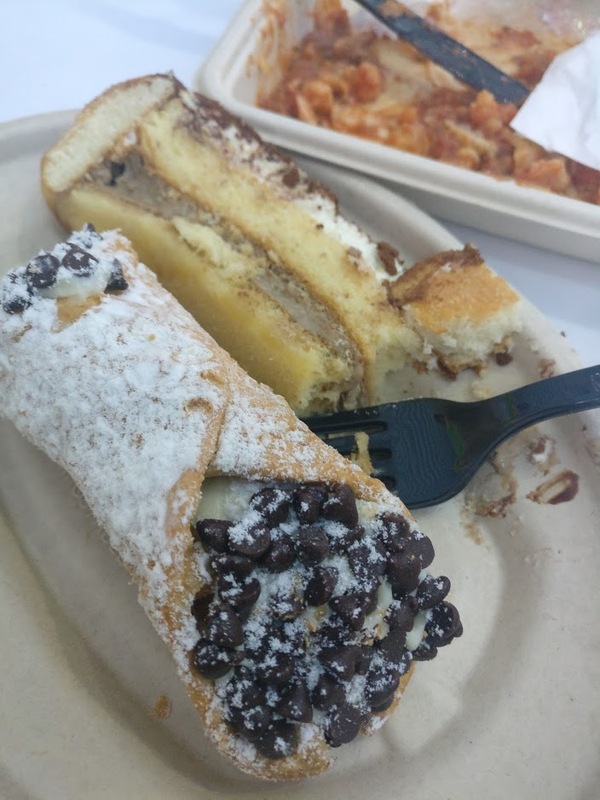 "Day 2: Opening ceremonies, trouble shooting and pizzeria!" "We won the practice match!!! We got .2 kgs in the bin out of the required 10 kg's!!!" 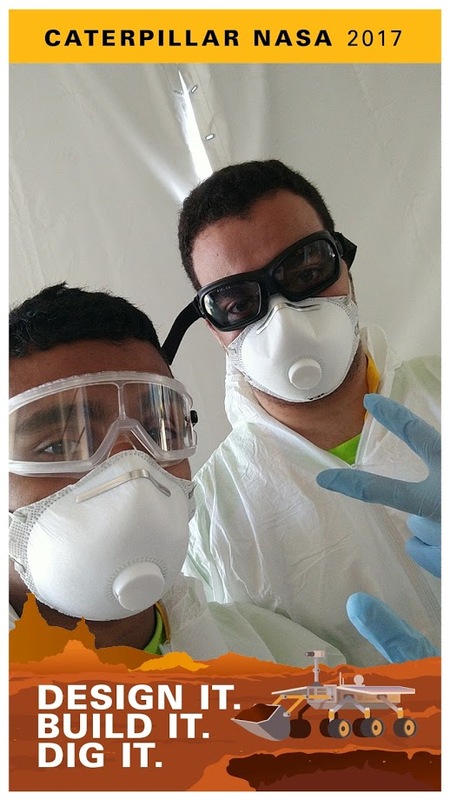 We continued troubleshooting, practiced in the sandbox, and we were supposed to have our first match. However, there was a tornado warning, so we left to the hotel early. I was able to continue finishing up my physics homework due that night. A couple other students on the team had to take a midterm, either today or the day after; it obviously wasn't just me who was balancing school with the competition - every competitor there was a student doing the same thing with their own course load. We did some team bonding and had some fun in the hotel, however I was downstairs on the lobby computer doing my homework most of the time. Day 3! Filled with robot sight seeing, ended a little early because of weather complications. So we did TEAM BONDING with a MOVIE, CARD GAMES, FUN and LAUGHTER! 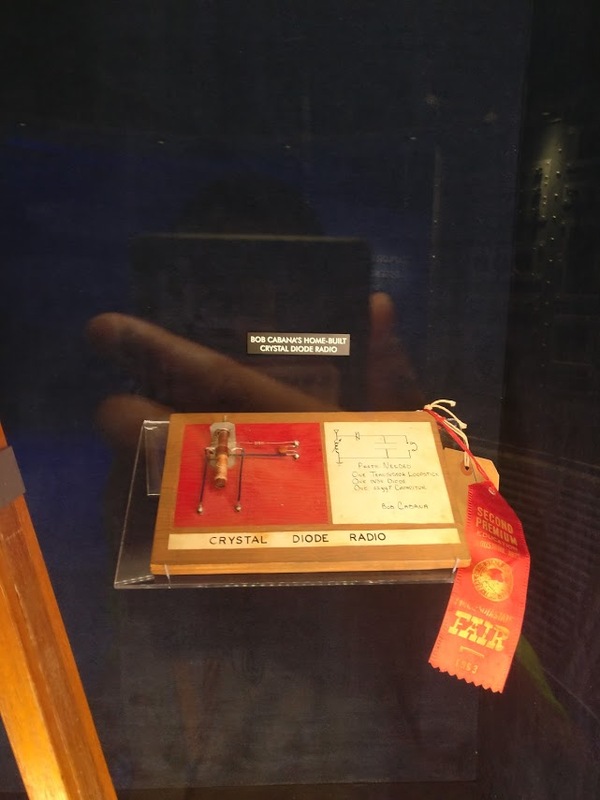 After walking through the hall of fame itself - revering the great astronauts - I arrived at a certain sub-exhibit. The first thing I saw ahead of me was the word "CONFIDENT" in bold, silver letters. I thought to myself, that is the last thing I would consider myself to be right now. 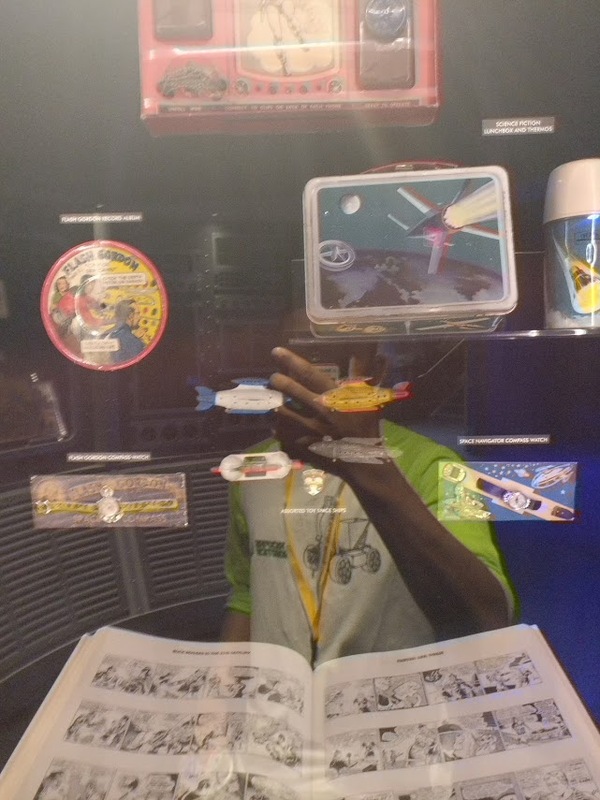 I walked into the pod, and peered into the glass. 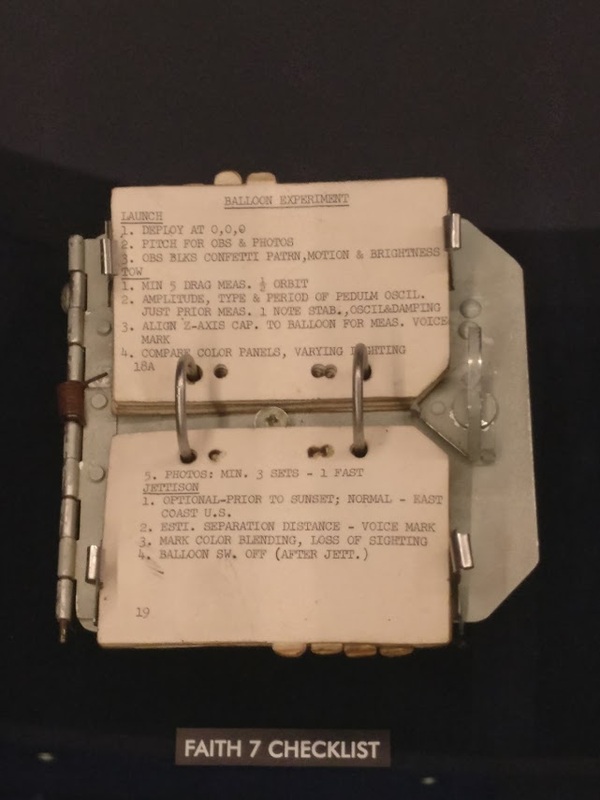 Memorabilia from astronauts' lives were displayed - Buzz Aldrin's report card, an experiment checklist; and in every booth, a screen displayed the word in different languages - which upon touching, four short videos came up. 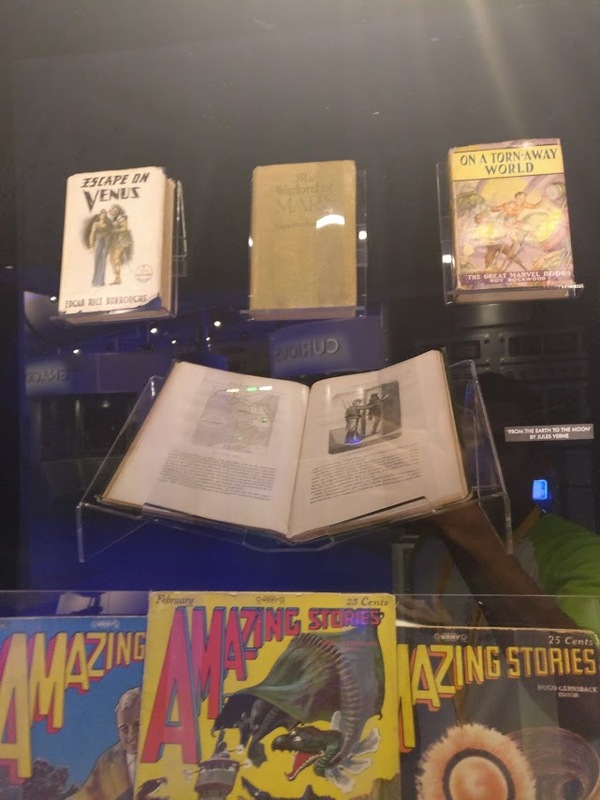 They were small clips - interviews and documentaries of personal and historical matters which were related to the word. There were 9 words, I do not recall the order. 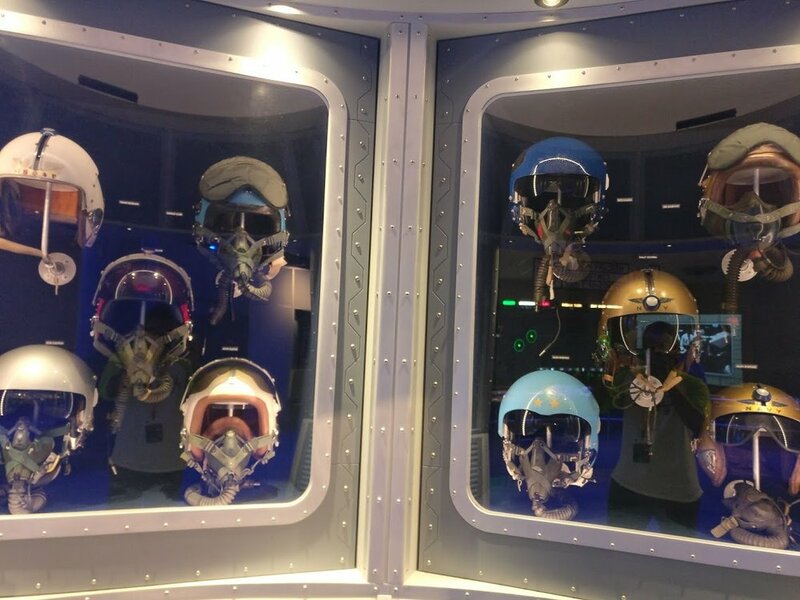 One of the interviews in the "confident" pod had an astronaut talking about how his mindset to be confident was to be mindful of not just what is going right, but also what could go wrong - and to peer into the possibilities of what could go wrong and be prepared for it. It's a fundamental engineering mindset I had lost, and it's what I felt had cost me my self-confidence at the time. 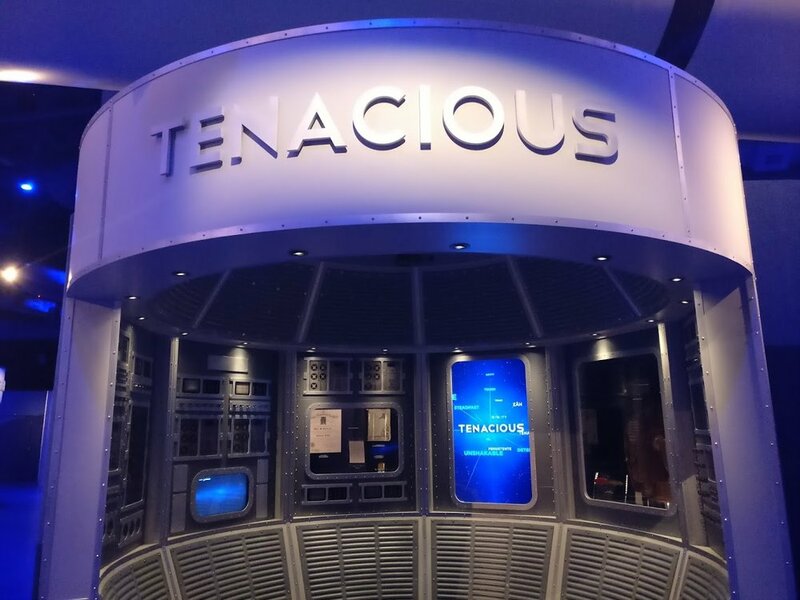 "Below, nine interactive pods, designed to reflect the inside of a shuttle cockpit, represent the nine characteristics of a hero: inspired, curious, tenacious, passionate, courageous, confident, selfless, disciplined, principled. 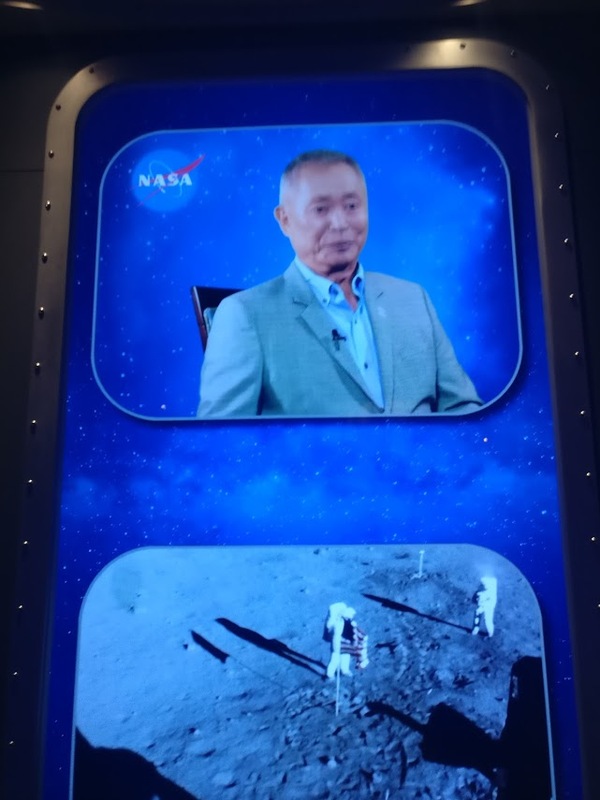 In each, a touchscreen allows guests to choose an astronaut artifact on display and hear the story behind it, drawn from 126 interviews with astronauts and family members. 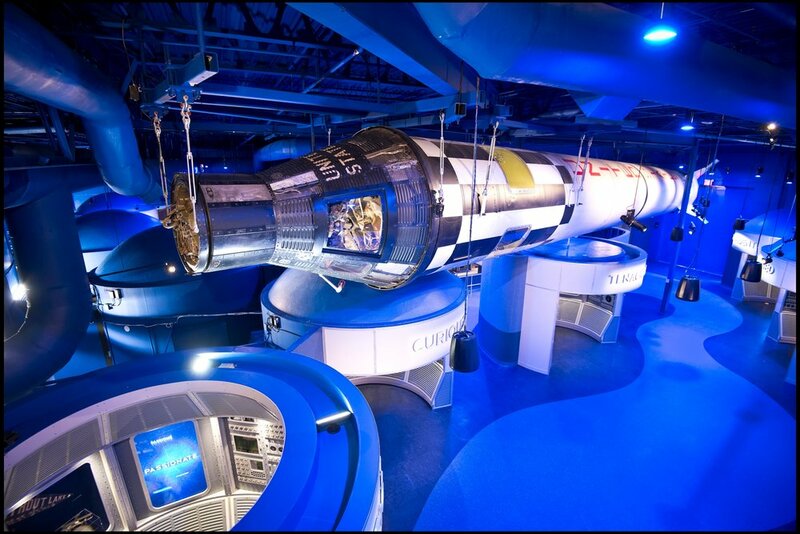 Artifacts range from science fiction books to the shimmering silver suit worn by Gus Grissom, the second American in space, during his 1961 Mercury flight. 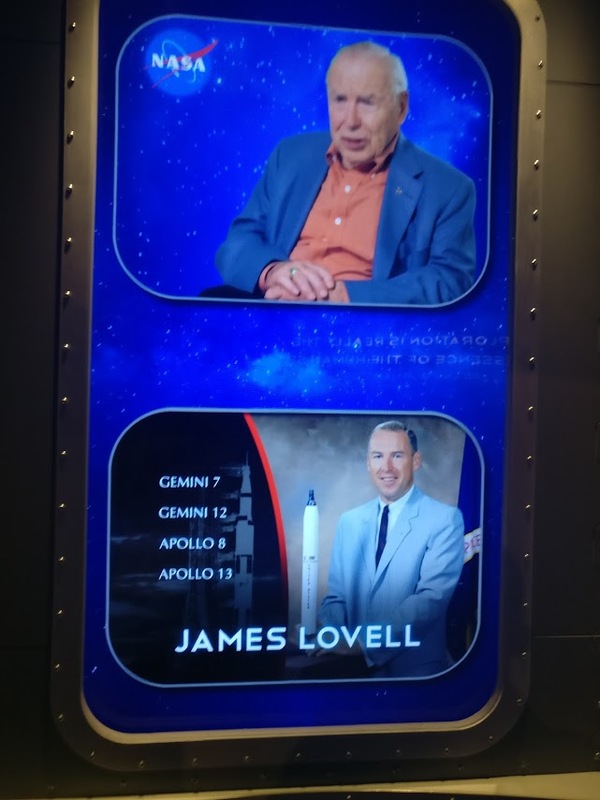 In one interview, Apollo 13 commander Jim Lovell recounts a night as a carrier-pilot when his plane instruments went dark. Only by identifying fluorescence in the ocean was he able to locate the position of his ship and reset course in the pitch black. Currently I cannot recall who this is, but he must have said something inspirational. 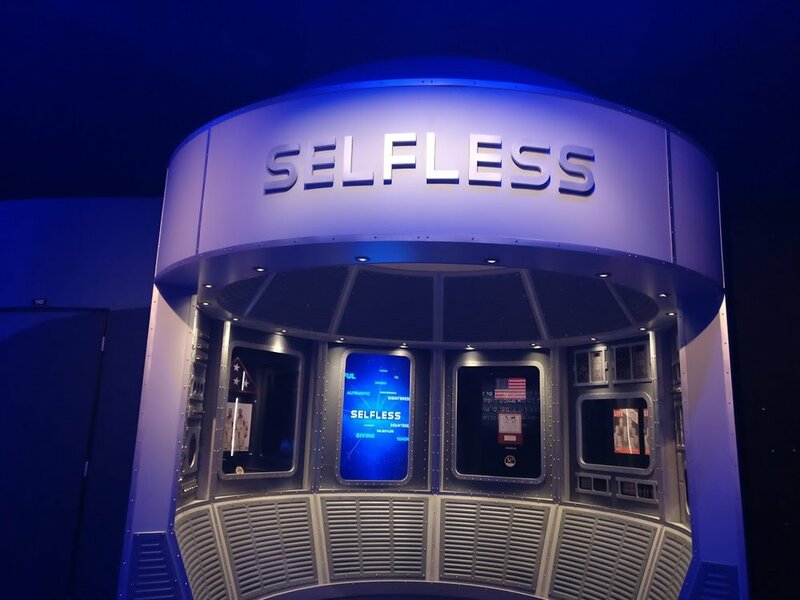 Upon leaving the Heroes and Legends building, I proceeded to the gift shop where I thought I'd look around the upstairs part of it - with mission badges and such. It turns out that the astronaut I didn't have time to meet during the lunch was there signing books. I stood in the short line, and got a photograph to be signed by him. He made the autograph out to "The Sekar Family," and I mentioned I didn't get a chance to meet him during the lunch and he remembered and asked how the competition run went. I said it went terribly, our robot didn't move the entire match, and it's basically entirely my fault. There was an ethernet cable provided, and I plugged it into the wrong port. In any case, a board on the robot somehow fried so it wouldn't have ran regardless, but I still feel an overburdening sense of guilt. And this, after doing poorly in my coursework, I'm just completely depressed. I don't want to take up too much of your time since the signing ends soon, but I was wondering if you had a few words to give a dejected college student. He basically said that it sounds like I have a lot on my plate right now (which I indubitably did) and that I should focus on taking things off my plate; you should take some time off and focus on what you do; it doesn't matter if it takes five six or even seven years, do what you can to the best of your ability and don't overburden yourself. I had heard this many times from peers, but I hadn't taken it to heart until after I faced the consequences and an astronaut confirmed the notion. Brian explaining the robot in Spanish to a couple of visitors. After attending the college/ career fair next to the pits - where I talked to some computer and electrical engineers at NASA - we had a day at the beach. I decided to put aside my homework (only to panic-finish it later that night) to enjoy the moment with my teammates whom I had grown close to. We swam in the salty water, ate some sandwiches, and had some very personal conversations. Overall, it was quite a roller coaster of a day, but I'm glad it happened, and I'm glad it made an impact on me. 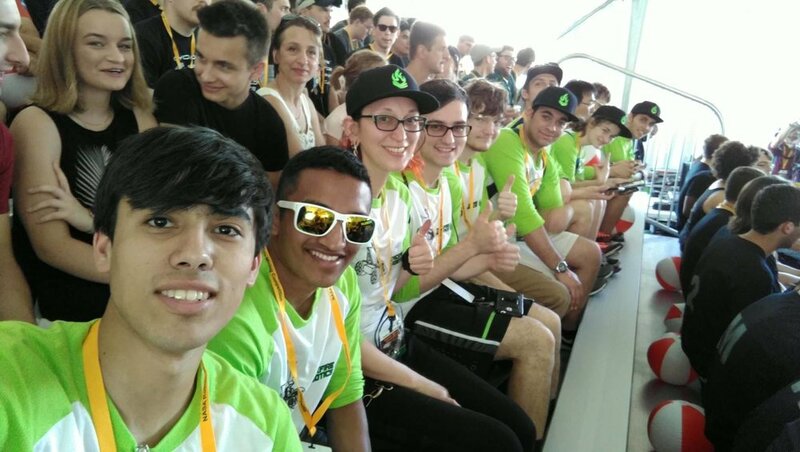 So, perhaps it wasn't the best run (we didn't meet the minimum to qualify), but we did better than a few teams - some which couldn't even move their robot despite having done the competition in previous years. It was clear that our robot lacked in automation of simpler processes (such as moving the coal miner mechanism up and down, the bin forward and back, etc...). All in all, that was the last competition run and we were proud regardless. We did well for a rookie team. Afterwards, we wished Fed a happy birthday (for the fifth time that week) along with the rest of the RMC participants. 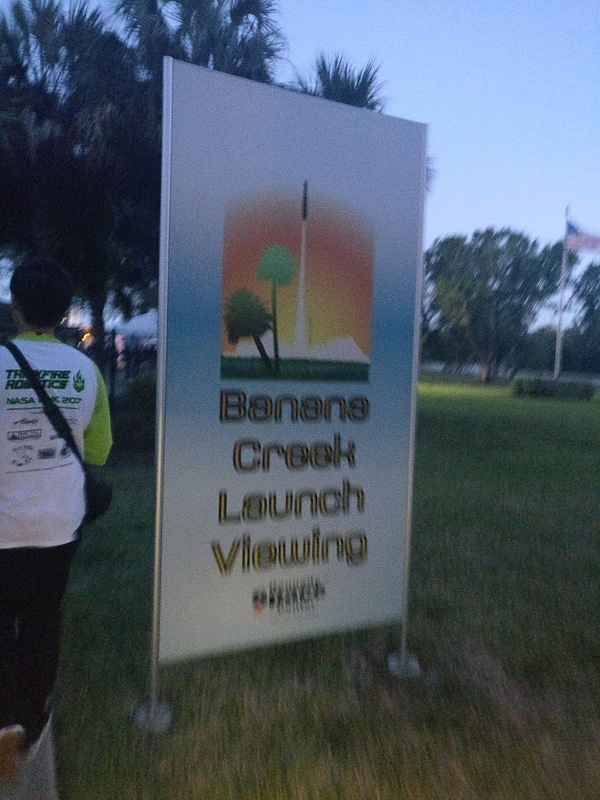 Then we visited the Banana Creek Launch Viewing center, which had all sorts of interesting things [elaborate on this later]. 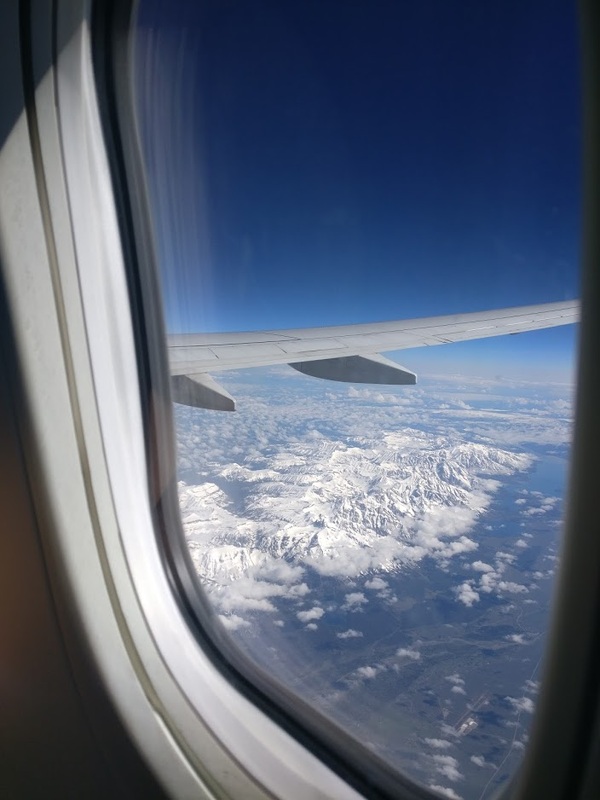 Then, we flew back the next day.